The author of Blazed Glazed, Tudou played Pokemon Glazed for several times but later he finds out that there’s something needs to improve the game. New moves are added from the newer Pokemon generations and added more and more features later on. 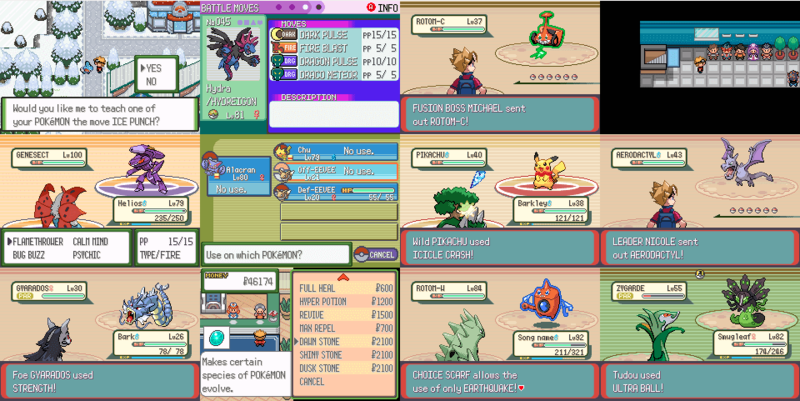 Pokemon Blazed Glazed is an improved version of Pokemon Glazed with some noticeable difference. In the game, Riolu evolves at level 25 instead of by friendship. Eevee can now evolve as Def-Eevee (Defensive) and alternatively Off-Eevee (offensive), Eevee can also evolve to Vaporeon (water stone), Umbreon (moon stone), Leafeon (Leaf stone), or Sylveon (Sun Stone). Eevee-Off evolves into Jolteon (thunderstone), Flareon (fire stone), Espeon(sunstone), or Glaceon (Moon Stone). There’s more to check out in this game, save the patch file now and patch it to your Pokemon Emerald rom using any patching tool such as NUPS. How to start this in myboy? Regarding your question, I suggest reading our beginner’s guide section. Anyone else having problems starting the game in my boy? Why I can’t use my Glazed save? What is the difference? Because they are both different games. Can i use my save game from pokemon glazed? Hello, No, you can’t. Pokemon Glazed and Blazed Glazed are two different games. Two different games but yet they play the same…. How cheesy was Glazed version anyway? More cheesy than a double deluxe cheese stuffed crust pizza from Dominos cheesy….that ending with Pius and Regina though….LAME. Everyone who made this game and tried to put themselves in the game is full of themselves…. 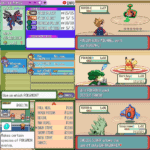 How many pokemon in this rom hacks? is 700+ pokemon from I-VI gen? Anyone else having problems battling Percy in gemimite village?